There would be few New Zealanders that haven’t cursed the speed of their internet connection at some point – particularly the 41% of Canstar Blue survey respondents who admitted that they feel stressed when they don’t have access to the internet. Rather than taking out your frustration on the screen though, take a deep breath, a step back and look at the bigger picture. Internet download speeds are the most important measure of how good your connection is. A fast connection will let you browse the internet at lightning speed, stream and download entertainment without a hiccup and install new programs in a matter of seconds, whereas a slow one is a major cause of frustration. So if you’re looking to boost your internet speeds, what are the factors that you’ll need to consider? 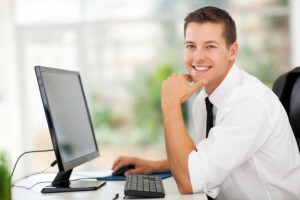 The speed of the connection provided by your ISP is the single most important factor in your overall internet connectivity. 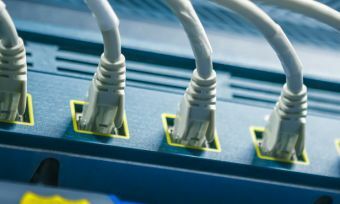 Your broadband speeds depend largely on what your connection cable is made out of: the majority of New Zealand’s broadband infrastructure consists of hybrid-fibre coaxial cables, which are a mix of optical fibre and metal-based coaxial cable. The good news is that the New Zealand government is currently undertaking its Ultra-Fast Broadband Initiative, along with a Rural Broadband Initiative, which together aim to bring faster broadband to 97.8% of New Zealanders. You can find out more about the two initiatives here. Just like how the sheer number of cars going to work in the morning will slow down traffic flow, large numbers of people using the internet simultaneously are going to slow down your connection. The same goes for some websites which don’t have large server capacities: if large numbers of people visit the site, the number of requests and the amount of data required can become too much for the servers to handle, resulting in a crash. Using the internet at peak times, such as in the evenings and on weekends, will likely mean slower speeds than browsing during the day. When it comes to your Wi-Fi connection, many people envisage a world of dodgy reception and slow internet but the reality is a bit more complex. The actual speeds that modern Wi-Fi standards can provide are immense: the most recent 802.11ac standard allows for peak speeds of up to 1300Mbit/s over three channels, or 1.3Gbit/s – fast enough to download a HD movie in seconds. In most cases, it’s actually the range of your Wi-Fi router that’s the real problem. Many old or cheap routers can have fairly weak antennas and a limited range as a result, which means your connection will be worse if you’re several rooms away from the router. The best way to fix this is to upgrade to a more powerful model. This is something that many people will recognise, and it’s important to know: depending on the coverage in your area you may have access to the current, faster 4G network or the older 3G network. New Zealand’s main cities all have 4G coverage from the major providers, and the network continues to be rolled out. When it comes to broadband services, not all providers are the same. Check out our most recent Broadband Providers survey to find out who rates well for customers satisfaction.